Very Good. 0316289418 ALL BOOKS SHIPPED WITHIN 1 DAY OF PURCHASE! Good. DJ may have small chips and tears. Book will have been read but remains clean. Cover may have light wear or slight soiling. Pages may be slightly tanned. May contain inscriptions but text pages will be free from markings. Fine. Fiction: General, Literature & Fiction. 1965 Bantam edition paperback fine In stock shipped from our UK warehouse. Vg/vg. Mystery, Literature & Fiction. US Book Club edition 1958 hardcover vg book & vg dw (dust jacket) In stock shipped from our UK warehouse. Good. The tenth novel in the Hornblower series by the author of "The African Queen". Trade paperback (US). Glued binding. 336 p. Hornblower Saga (Paperback), 11. Exactly what one would expect from this author. Each of the three separate adventures in the West Indies are very entertaining and have great surprise endings. Wish I had bought it sooner! Hornblower has advanced some years as the "old man" although he is young by today's standards. 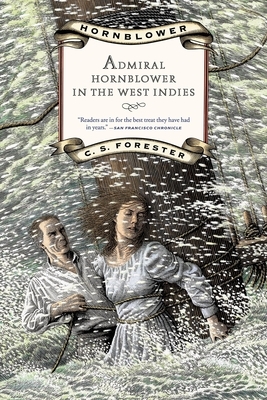 This is a great incite to how the West Indies was after the Napolenic Wars, with of course Hornblower saving the day. Excellent reading with some good background of early Caribbean history. The book however, consists of individual and several Hornblower adventures in the West Indies, but the adventures are not tied one to the other. The continued reference however to Hornblower's wife Barbara in each episode helps to keep the story from disintergrating. All the episodes are full of exciting action.